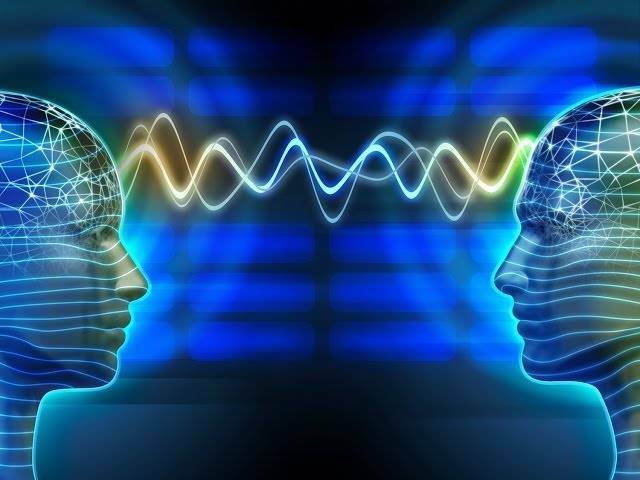 The fact that sometimes we think we emit the same “wavelength” with another person because our brain is designed to continuously run ahead and “predict ” what our interlocutor is going to say. This is the conclusion of a new American study. According to experts, the successful prediction of words uttered by our interlocutor occurs due to the synchronization of brain patterns that “anticipate” speech. The study published in the «Journal of Neuroscience» brings to light new information about the brain processes that take place during communication and are related to the processing of spoken language. The scientists found that our brain is constantly trying to predict what our interlocutor is going to say to us, in order to better understand and promote discussion. Until now scientists believed that our brain processes the stimuli received from the environment from the “bottom up”, that is, when we hear someone speak, the auditory cortex of the brain processes the sound first and then activates other areas that are responsible for speech comprehension. However, more and more neuroscientists seem to support the theory that the brain ultimately analyzes the external stimuli from the “top-down”, which makes the brain a kind of “prediction machine”. As reported by U.S. researchers, our brain anticipates constantly in order to be able to respond lightning fast and accurately to anything that is going to happen. For example, it is able to predict words and sounds from the context. From the phrase “grass is…” we can easily predict the continuation – it is probably the word “green”. “Our findings show that the brain of both the speaker and the listener uses the process of language prediction. This results in similar brain patterns in both interlocutors,” said the study’s senior author Dr. Suzanne Dikker from the Department of Psychology, University of New York. “This happens even before the speaker utters the phrase he is thinking“. In their experiment, the scientists monitored the brain activity of a speaker while he was describing the images that had just seen. These images contained different issues in order to trigger a different approach to the description every time. In one of them, for example, there was a penguin hugging a star. Another one depicted a guitar stirring a bicycle wheel coming out of a boiling pot of water – an image with even less predictable description. In the next phase a group of volunteers were asked to listen to the speaker’s descriptions, while they saw the pictures themselves. The researchers monitored their brain activity. Comparing the brain response of the speaker to that of the audience, the researchers found that the patterns of brain activity in areas responsible for speech processing showed similarities when listeners could predict what the speaker was going to say. “In addition to the lightning fast reactions towards the stimuli received from the environment, the power of our brain that “predicts” what another person is going to say may play a decisive role in human communication,” concludes Dr. Dikker. This is pretty interesting. I’ve been told I tend to take words out of peoples mouths so I always try and wait for them to finish but sometimes I end up cutting them off (rarely on purpose, it’s usually a mistake) especially when I hear them start to slow down and they try to think about how to describe something, so i just finish the sentence for them. It was interesting in how the experiment was in two different phases. I’d like to see one where two people are being monitored at the same time while they were having a conversation about something. What that something should be, I’m not sure yet, maybe go along with the description of things as shown above, but the idea is to see if there are differences in brain activity and then through the conversation they start to become more similar. I guess when you think about what language is at its heart, it’s a bunch of random symbols that create some kind of meaning. If there is no meaning generated from what you’re saying to the other person, could you say you’ve really communicated? So when you are able to describe something someone understands and can imagine or recreate the idea while they listen, how similar are their brains at those moments? What if the person’s brain showed understanding or reaction before the person actually spoke? As in when the speaker was formulating ideas the other person’s brain began to react similarly before they actually spoke some words? It’d be an interesting idea with its implications on consciousness if anything was found. Thanks for this Topic article, Anna. I recall reading a study article long ago, before relatively recent high-tech imaging CT Scans, MRI’s, PET’s Etcetera, that spoke to instant communication/awareness of this sort. Subjects were placed in isolation rooms, comfortably awaiting unknown stimulus. Each subject was tagged with sensor recorders reading EEG, EKG, galvanic skin response devices and such leading edge tech of the day. In a separate building’s isolation room, experimenters introduced random brief sound bytes at random intervals through a hidden sound emitter in the subject’s hearing space. Subjects rapidly demonstrated physiological awareness, measurable responses to the various sounds BEFORE the stimuli were actually transmitted /reproduced in the subjects’ isolation rooms; in a majority of the case subjects and over a majority of the varied sound stimuli. It was surmised at the time, subjects were somehow able to key into the experimenter’s thought process before the experimenter’s actual motor impulse triggered the stimulus transmission. Huh? Yes that’s kind of interesting. Sorry to say I don’t gave the citation today. But, one might google it. In my personal experience, though out of conscious awareness each time it occurred in me, I know anecdotally, Instant communication exists. How may I get some more of that capability? It will be useful, as one suggested in a separate article here, about possible/probable Alien attributes. Too, this ability is said to be practiced at more sophisticated levels among highly developed meditation practitioners, like Rimpoche Buddhist Monks and nomadic Australian Aboriginal tribes. Anyone out there that will share more on this? Let’s explore more, eh? Maybe we can ask Madhu when he gets back down here?